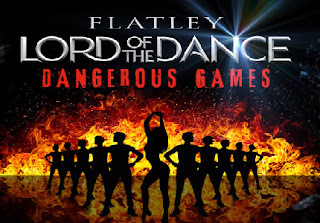 Principal casting has been announced for Michael Flatley's Lord Of The Dance - Dangerous Games which is running at the Playhouse Theatre in London's West End from 10 October 2015 to 3 January 2016. The production recently ended its run at the Dominion on 5th September after six months, and also ran at the London Palladium where it opened on 3rd September 2014. The cast now includes James Keegan, Morgan Comer, Cathal Keaney, and Fergal Keaney sharing the role of 'Lord of the Dance'. Sophie Evans and Rachael O'Connor will share the singing part of 'Erin the Goddess'. Based on Irish folklore, Dangerous Games is a classic tale of Good versus Evil, expressed through the dance. Little Spirit travels through time to help the Lord of the Dance protect his people from the challenge of the Dark Lord, Don Dorcha. The adventure takes place in a mythical universe of love, danger, and desire, created by acombination of precision dancing, state of the art lighting and pyrotechnics. Sophie Evans was runner-up on the BBC series 'Over the Rainbow' in 2010, and played alternate Dorothy in selected performances of 'The Wizard of Oz' at the London Palladium.